Crytek, the multinational video game company behind games like Crysis and the new Homefront, appears to be facing financial difficulties, according to numerous rumors and reports. 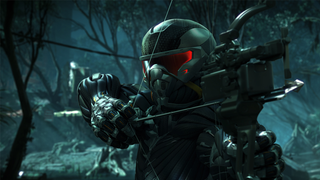 For the past few months I've heard rumblings of employees going unpaid at Crytek studios. Though Crytek representatives have denied that the company is facing payment issues, a handful of employees at Crytek's UK office—currently developing Homefront: The Revolution—have reached out with stories of late paychecks and delayed bonuses. What I've heard has been vague, but one Crytek employee insisted that at least some of the staff are disgruntled and looking for new jobs. Eurogamer claims to have heard similar things from people at Crytek UK and other studios within the company, which employs around 800 people. A report by the German magazine GameStar, published on Saturday, also alleges that Crytek is facing financial difficulties, and that paychecks are coming in late. In addition, I've learned that Crytek UK managing director Karl Hilton is leaving his current position. When I reached out, Hilton said he would be moving to a different role within the company, though he had no other details to share. "With new titles such as Warface and Arena of Fate, Crytek is moving in to self publishing and new business models," Hilton told me. "After 5 years as [managing director] for Crytek UK I am also looking to develop my role and responsibilities in line with these new opportunities at Crytek and I am currently looking at this with the company." I am an employee in the Frankfurt studio. None of us have been paid last month's salary. It is normally paid before the end of the month. It is 11 days late and none of us have been given an explanation by management. All we have to go on are rumors. This is not the only sign of troubles at Crytek. I responded asking for more information, but never heard back. In the coming months I heard a couple more tips about issues at Crytek, but nothing concrete—until earlier this month. Three weeks ago, one Crytek UK employee contacted us to say the studio had been missing bonuses, and that they had not been paid since April. "My reason for reaching out is mainly because there are a lot of people in my situation and it isn't right for a company to not pay staff on time," a Crytek UK employee told me in early June. "People should know that there are a bunch of employees who deserve a better company. These things should not be kept in the dark." When I reached out to Crytek for comment, Crytek's PR head denied that there were payment issues, but would not offer clarifying details or comments. At E3 two weeks ago, I went to Crytek's booth to ask for more information, and again, Crytek's PR head denied that the company had issues with payment, offering to set me up with an interview after E3. Over the past week, both before and after the GameStar report, I sent four e-mails to Crytek PR, but did not receive any responses. Regardless of what some media are reporting, mostly based on a recent article published by GameStar, the information in those reports and in the GameStar article itself are rumors which Crytek deny. We continue to focus on the development and publishing of our upcoming titles Homefront: The Revolution, Hunt: Horrors of the Gilded Age, Arena of Fate, and Warface, as well as providing ongoing support for our CryEngine and its licensees. We have received a lot of positive feedback during and after E3 from both gaming press and gamers, and would like to thank our loyal employees, fans and business partners for their continuous support. Know any more about what's going on over there? Send me an e-mail. All correspondence will be kept anonymous.